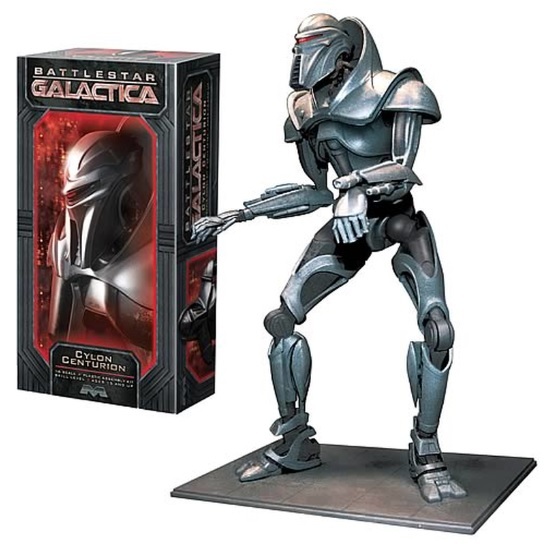 Cylon Centurions were fully armored, metallic automatons that functioned as the basic foot-soldiers, guards and executioners for the Cylon ground forces. With long, talon-like bladed fingers that fold back to reveal three-barreled automatic projectile weapons, the Centurions were used in close combat, as well as fire-fights to keep order throughout the Cylon occupation. At over 13 inches tall, Moebius Model's 1/6th scale kit has more than 100 parts. 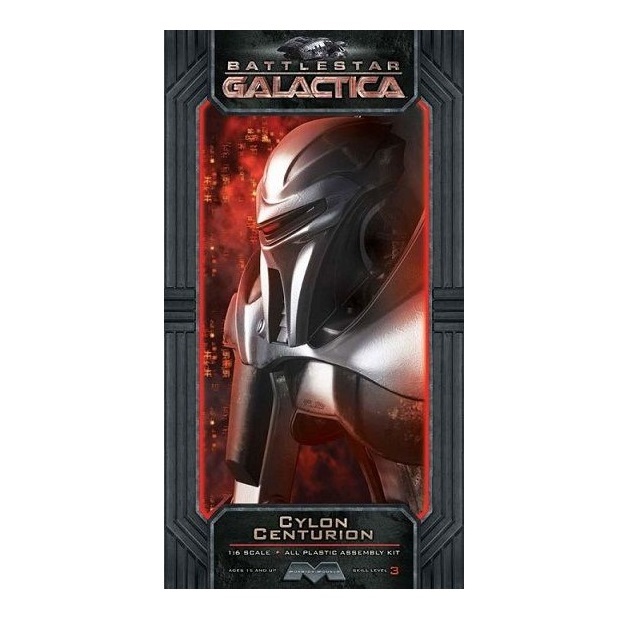 Complete with it's own base, this is a must have for any Battlestar Galactica fan!